The bane of everybody’s online existence is the stupid amount of browser-locking, insistent & persistent, full-volume pop-up or pop-under ads that, typically, end your current browsing session by requiring the browser to be reset before you can resume your interwebbing. Let’s not be all PC here, giving only generic product references – we all use pretty much the same browser. It’s the world’s #1 browser that I’m talking about, Google Chrome. Flashback a few years to Chrome’s introduction – a bulletproof saviour to defeat the fat slob incumbent Internet Explorer. Chrome was bulletproof & did defeat that awful Microsoft product. Back then.But consider where Google make their money (who said “everywhere”?) – primarily it’s advertising revenue. Chrome, therefore, must be configured to carry advertising – after all, it’s “free” from Google, the world’s largest carrier of advertising. That screenshot was taken while I write this article. I’ve got 3 tabs open. 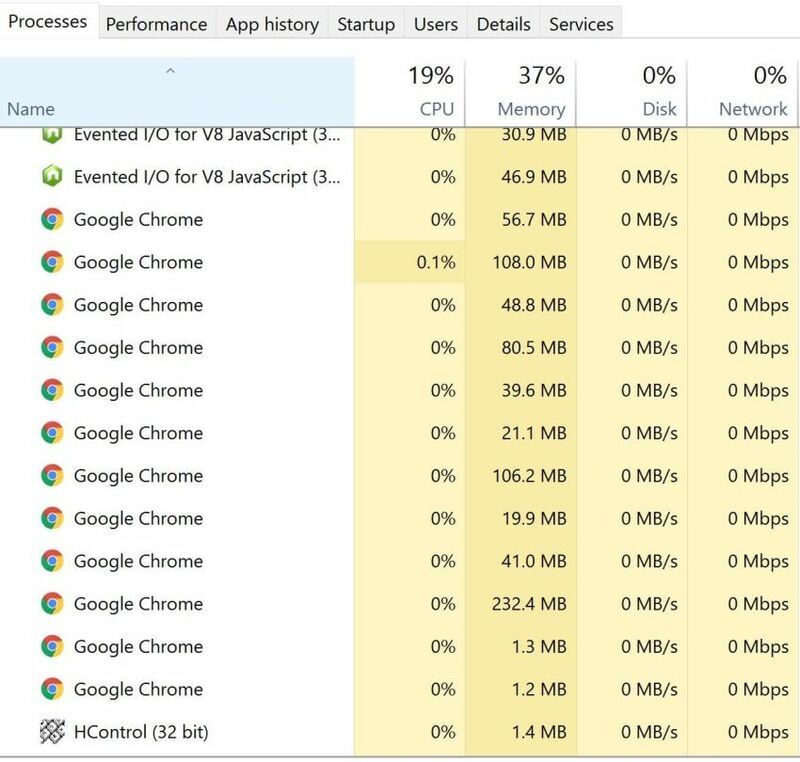 Chrome loads everything it does – including tabs, windows & extentions as separate iterations of the program, so instead of the 1 program I’m running, I’ve in fact got 12 repeats gobbling resource. And whilst we have substantial RAM resources built into new computers, 1 GB of RAM being used while I type into the WordPress backend is hefty consumption. Not only is Chrome now laden with unnecessary features that drag the performance of your PC down, it’s also become THE platform for invasive advertisement delivery. Which, as this post opens by saying, ruins our internet experience. So what are you gonna do about it? What you should do, I suggest, is listen to Megabyte. He knows what to do. I’ve always had Opera as my failsafe go-to alternative web browser – since late last century, Opera has been a favourite of mine. Many innovative functions now found in Chrome, Firefox & Edge were introduced by Opera, their inventive streak continues today. Once touted as a possible Facebook acquisition (their own Facebook browser), I’m both surprised & relieved that the sale didn’t happen. Where Chrome is Google’s own ad carrier, Opera has a built in ad blocker. Also providing the hands-down best Android browser in Opera Mobile, full-featured Opera is based on Chromium, the engine for Google Chrome. So most extensions, add-ons & scripts that work in Chrome work natively in Opera. Except for the invasive, take-over-your-internet, advertising crap. That’s blocked. There’s more too – major features like Opera’s free, built-in VPN (which goes hand-in-hand with the ad-blocker) & minor but useful features like the inbuilt currency converter. When I recently got pissed with Chrome doing not what I wanted, I switched back to my reliable, feel-good reserve – Opera. For only the loss of direct Google service integration – Gmail, Drive etc. – I’ve regained control of browsing experience. I suggest you download Opera today & start enjoying a fast, clean internet experience again.